Roadways offers a comprehensive range of Logan to Canberra removalists services. With over 20 years of trusted interstate removalists expertise, Roadway Removals is more than qualified to assist you with a smooth transition. We pride ourselves as being one of the most reliable and customer-focused interstate moving companies in Australia, so you can have confidence in the exceptional services we deliver. 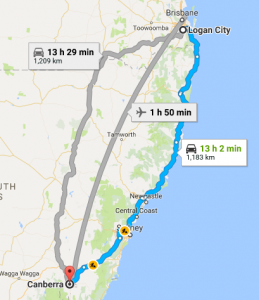 If you need reliable Logan to Canberra removalists, Roadways Removals is ready to get the whole process on the way today!